Mesh networks have recently emerged as a powerful communications tool for both small and large networks. A mesh network is a topology in which each node relays data for the network through an interlinking backbone as well as out to your vehicles, radios or other subscribers; be it your core server in a server room or multiple moving targets out in the field. A mesh network can be easily deployed on any scale to meet your needs, providing increased reliability of data transfer through multiple paths from the source and destination. From a small building environment to track warehouse inventory, or to a large-scale deployment across a mine site, mesh networks deliver reliable high bandwidth connectivity for your mobile fleets and real time critical information such as video, voice and data. Radlink Communications has vast experience and expertise in designing and deploying wired and wireless mesh networks. Using a combination of fixed base station towers, mobile trailers and skids, relocation is quick and easy each time the operation changes. Our communications engineers can tailor a solution adapted to your network size, bandwidth and power requirements that is highly efficient, designed to withstand the harshest of environments. Radlink designs and builds mesh networks for all applications. 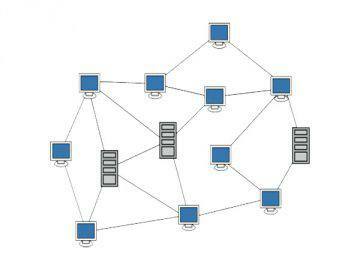 Mesh networks can provide security and reliability at an affordable cost. Talk to our Communications Engineers today about your requirements.